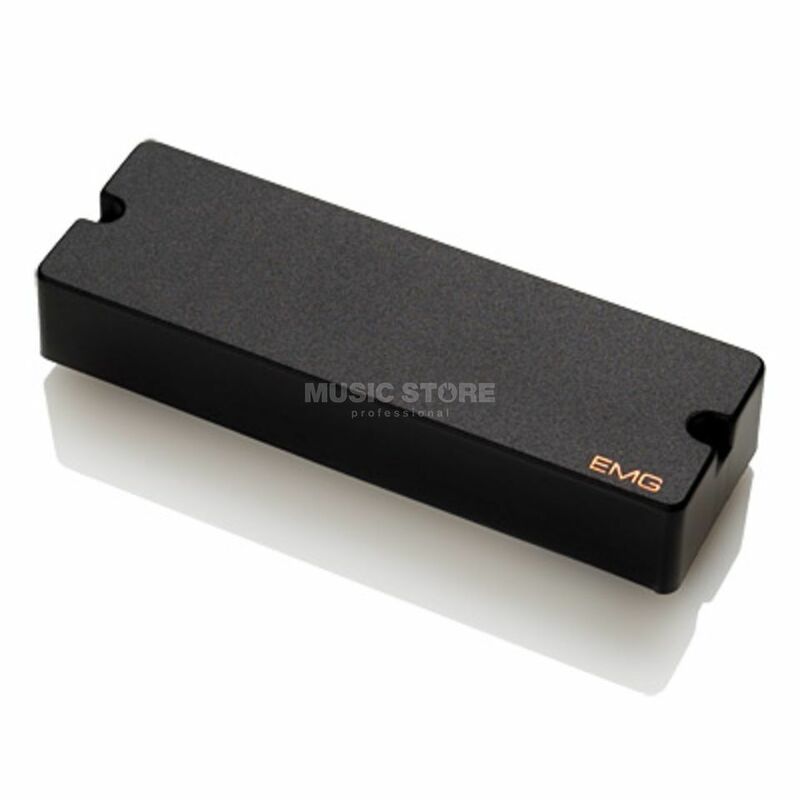 The EMG-45TW BLACK - Inside the EMG-45TW pickup are both single and dual-coil pickups, each with its own output. The single-coil mode is a new version of our EMG-J pickup built in the CS (ceramic and steel). The dual-coil mode is our popular CS dual-coil consisting of two coils opposite one another creating a pickup similar to model 45CS. A push/pull volume (or tone) pot allows you to change from the clarity of a single-coil to the fatness of a dual-coil. The 45TW can be used with any of EMG's tone enhancing circuits on either pickup output. This pickup uses a 45 Extended housing that is 4.5 inches (115mm). When using two of the TW Pickups in the same instrument it is not recommended that BT or BQ Systems be used. Each pickup requires a push/pull pot for switching from single coil to dual coil so the balance control included with the system can’t be installed. If you want to use the balance control, consider switching single/dual coil outputs with a DPDT toggle switch(s) instead.